Waltham 14kt Gold "Wm. 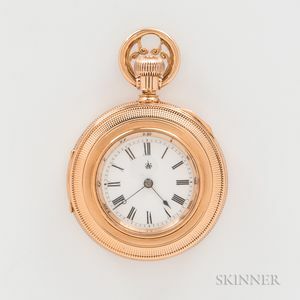 Ellery" Demi Hunter Watch, c. 1879, roman numeral dial marked "A.W. 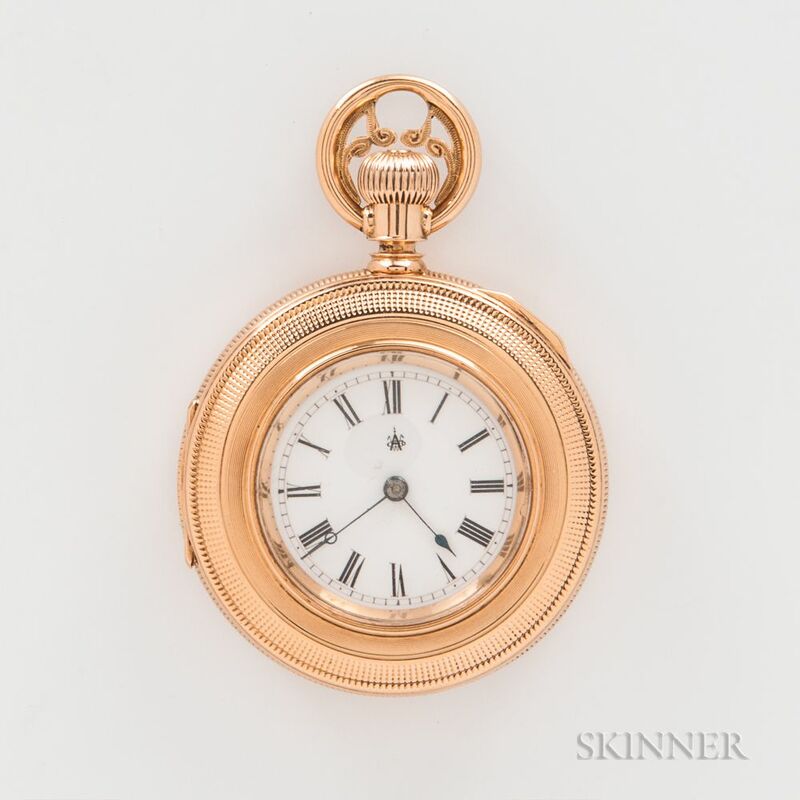 & Co./Waltham," swing-out case with stem-wind, lever-set movement marked as above, classical engraved back depicting a heron surrounded by foliage, 41 mm, 57g.